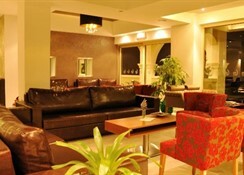 The hotel has been refurbished and renovated in 2009, with a modern and stylish yet cosy atmosphere. In the lobby there is a Front Desk with 24-hour Reception and check-out service, a Lounge area and a Bar. On the ground floor there are 2 adapted rooms 2 Quadruple Rooms and 4 Standard Double Rooms. The first and second floors have 15 Standard bedrooms (some inter-connecting) and two Exclusive bedrooms. On the third floor there are 1 Junior Suite, 2 Master Suites and 6 Superior Rooms, all of which have a private balcony. The establishment offers a total of 51 rooms as well as a room safe, currency exchange facilities, lift access, a café and a restaurant. Conference facilities (fess may apply), Internet access, a laundry service, a car park and bicycle hire are additionally provided. Key cards should be returned to the reception desk upon check-out. Parking is free of charge. 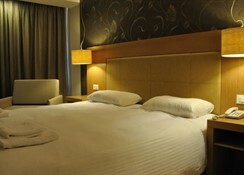 The Standard Bedrooms have very stylish decoration creating a quiet and comfortable atmosphere. In every four rooms the wallpaper and furniture colours change. 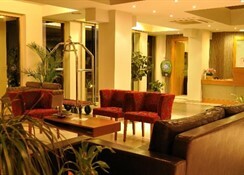 The hotel has been refurbished and renovated in 2009, with a modern and stylish yet cosy atmosphere. In the lobby there is a Front Desk with 24-hour Reception and check-out service, a Lounge area and a Bar. On the ground floor there are 2 adapted rooms 2 Quadruple Rooms and 4 Standard Double Rooms. The first and second floors have 15 Standard bedrooms (some inter-connecting) and two Exclusive bedrooms. On the third floor there are 1 Junior Suite, 2 Master Suites and 6 Superior Rooms, all of which have a private balcony. The establishment offers a total of 51 rooms as well as a room safe, currency exchange facilities, lift access, a café and a restaurant. Conference facilities (fess may apply), Internet access, a laundry service, a car park and bicycle hire are additionally provided. Key cards should be returned to the reception desk upon check-out. Parking is free of charge. 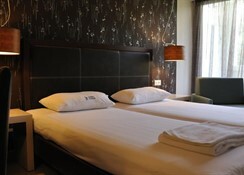 The Standard Bedrooms have very stylish decoration creating a quiet and comfortable atmosphere. In every four rooms the wallpaper and furniture colours change. Rooms are spacious with big balcony doors that allow the light and sun to brighten the rooms all day long. All rooms offer individually regulated air conditioning, central heating, a ceiling fan, minibar, flat-screen TV with satellite/cable channels and laptop-size safe box. 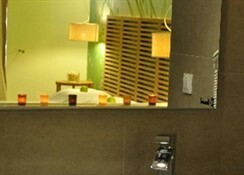 The en suite bathrooms offer a hairdryer and Jacuzzi Showers (few hot tubs). A double/twin bed, direct dial telephone, Internet access, tea and coffee making facilities and ironing facilities on request. 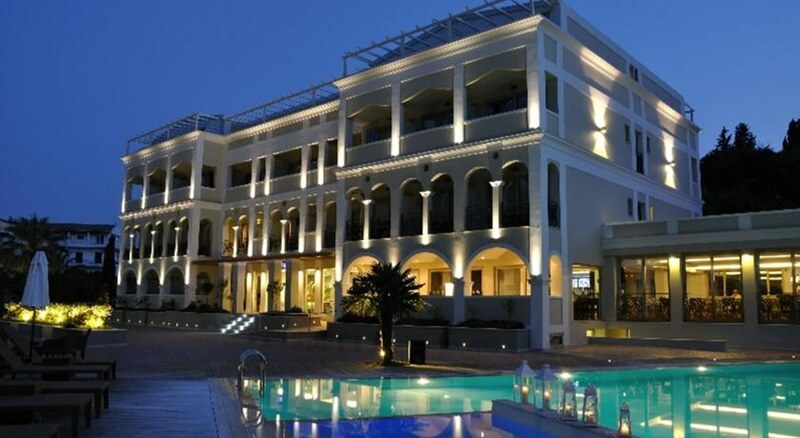 The hotel offers different activities according to guests' needs and the season. 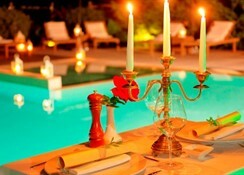 In summer guests can enjoy the revitalising feeling of the outdoor main pool's fresh water and the incorporated jacuzzi. For guests who wish to work out while on holiday, there is a gym with modern equipment which offers also Yoga, Aquaerobic and Zumba classes. The pool and gym are free of charge. The poolside snack bar provides refreshments. Parasols and a massage service are also available.